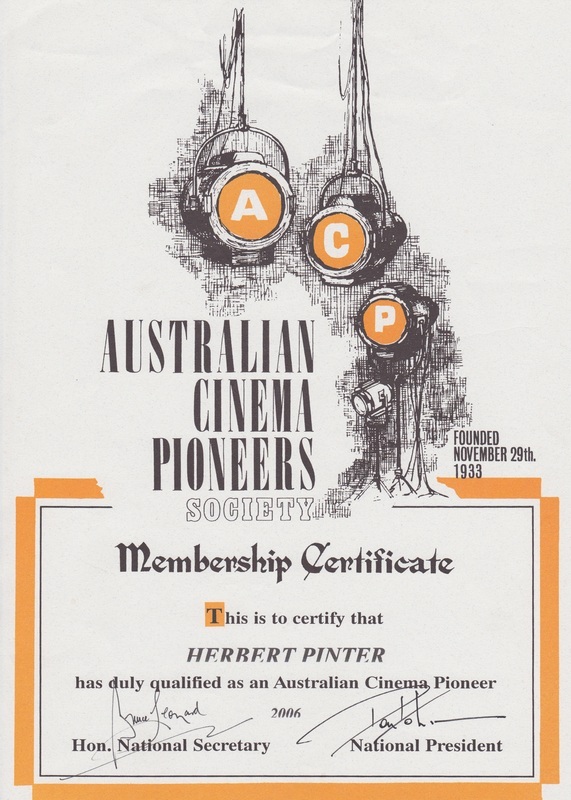 Born in Austria and an Australian citizen by choice, Herbert Pinter has been in the film industry since 1973. Herbert has worked with Directors such as Peter Weir on great Australian classics such as, Picnic at Hanging Rock, Gallipoli, The Year of Living Dangerously and Bruce Beresford on award winning , Breaker Morant, Black Robe, Mr Johnson, Paradise Road and Bride of the Wind. 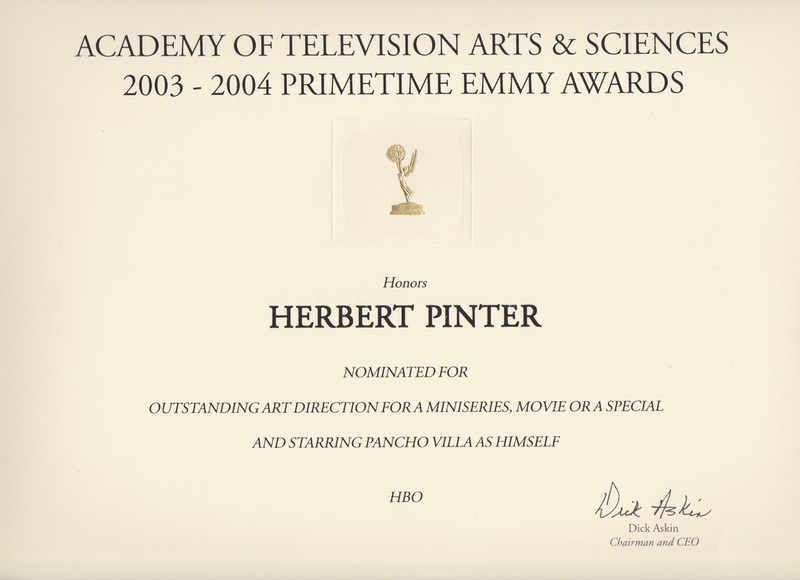 AFI, Sammy and Genie Award winner and multiple AFI award nominee, Herbert was nominated for an Emmy in 2004 for “Outstanding Art Direction For A Miniseries, Movie Or A Special” for Beresford and HBO’s And Starring Pancho Villa as Himself. He also received the Art Directors Guild award of “Excellence in Production Design” for the same production. In 2009 he was nominated for an AFI, Award for Mao’s last Dancer. In 2011 he received an APDG. Award for Cloudstreet and the AACTA. TELEVISION SCREEN CRAFT Award. His ability to adapt difficult locations and represent any historical period has given him an enviable reputation amongst Directors and Producers both nationally and internationally. Nothing is too big or too difficult for Herbert, from Science Fiction to the 15th Century or transforming contemporary Australia into the blue bayous of Louisiana or the slums of SE Asia. He has filmed in the heat of the sub Sahara; the freezing north of Canada; the sweltering tropics of South East Asia and the Amazonian jungle; the mountains of Mexico and the cultured climes of old Europe. 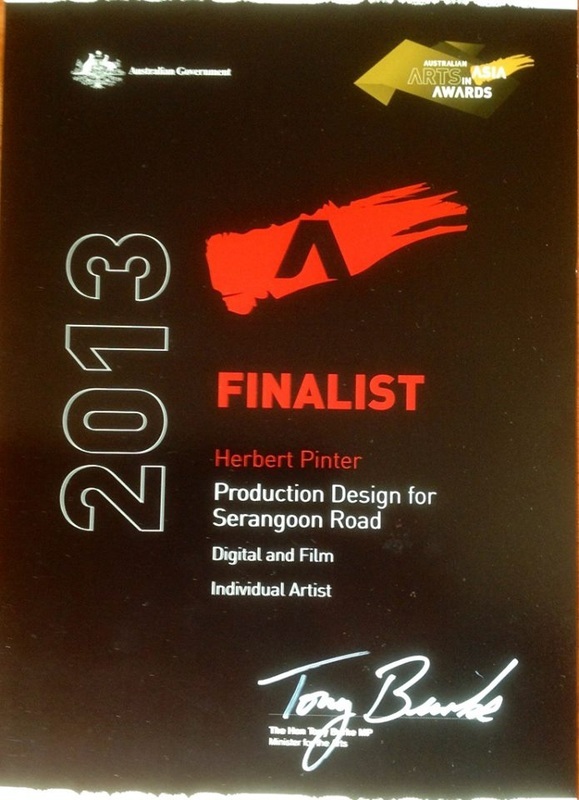 With a career in the film industry spanning over 30 years, Herbert brings his extraordinary vision and expertise to every project no matter where it might be set or filmed. 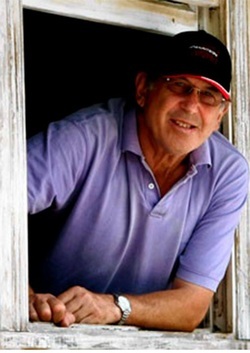 When not filming, Herbert lives with his wife and family on their horse property in Chidlow, situated in the hills overlooking Perth in Western Australia.